Painting the Master Closet - Oak House Design Co.
After moving, everything felt chaotic and disorganized. Clothes have been in boxes for weeks, and we lived out of suitcases for nearly two weeks. So while a closet wasn't what I thought would be my first paint job, it was needed to help get our lives back on track and begin a little organization. The closet isn't huge, but it's enough for us. The walls were pretty beat up and need of paint, and the shelving had this sticky, brown residue on them. 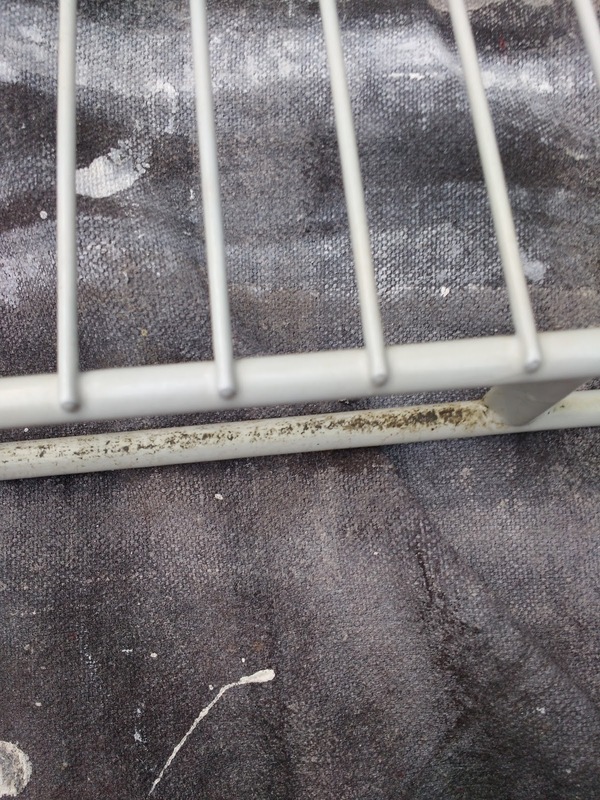 The shelving was scrubbed with more Bar Keeper's Friend, and rinsed with a vinegar/water solution. This seemed to remove the dirt and the sticky feel. Then the walls were painted BM Grey Owl and the trim BM Simply White. The floors were replaced with wood when we had our new floors laid. 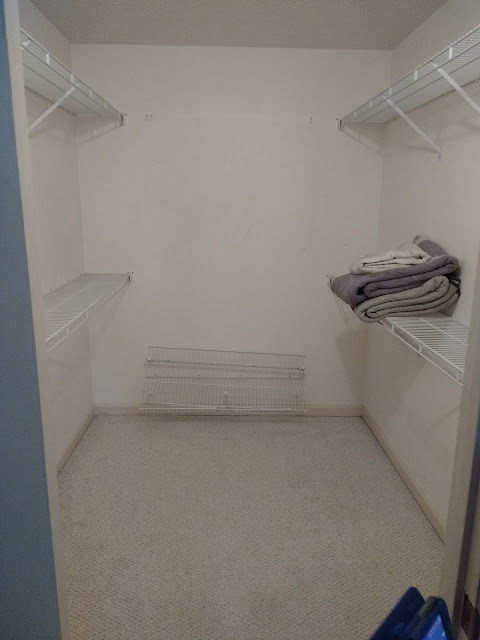 The space feels so much fresher and cleaner, and ready to hang clothes in! Oh wow, I didn't know that. And I for sure see Closetmaid on the hanging hardware. I guess after nearly 30 years that's why they were sticky. I'm hoping to replace them at some point.